L 1577 x 2000px 8 Mb. XL 3547 x 4499px 15 Mb. 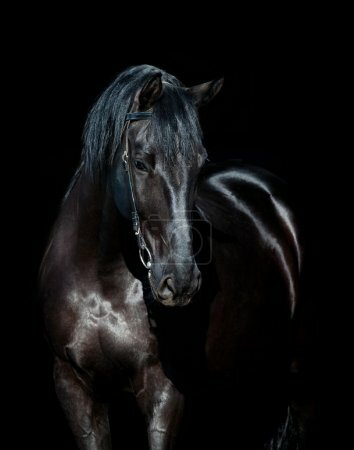 Black horse portrait isolated on black, Ukrainian horse.